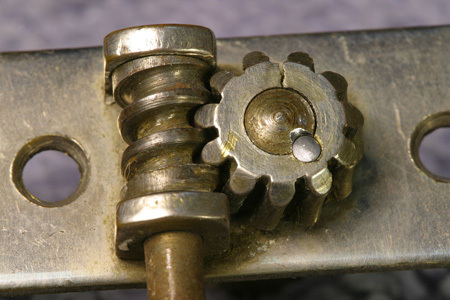 You can see that its gear was pressed onto the end of the tuning post in a friction fit. (I suppose nobody really expected those moderately priced guitars to last this long.) 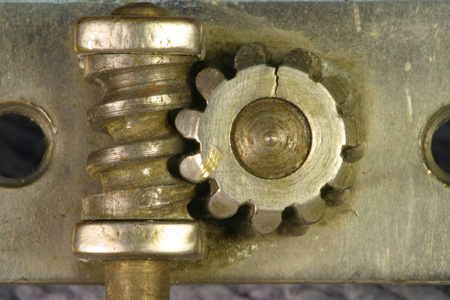 The brass cog has split on two of them, allowing the shafts to rotate freely. The one on the left slips off easily, while the one on the right is still trying to do its job. 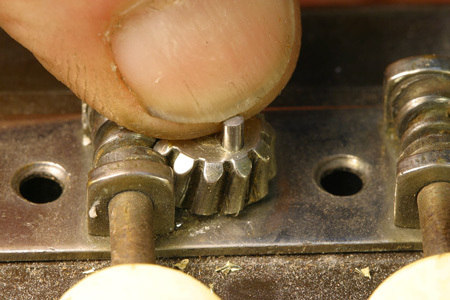 I presume that the split has relieved much if not all the stress, so I go about fixing the gear by adding a pin to secure it from rotating on the shaft. 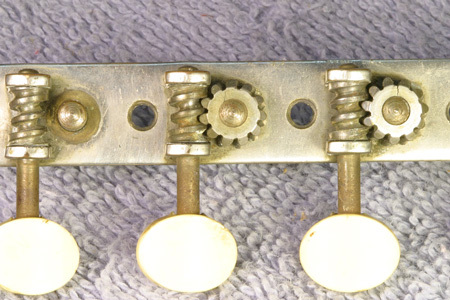 Otherwise, I guess the best solution would be to silver braze it together. 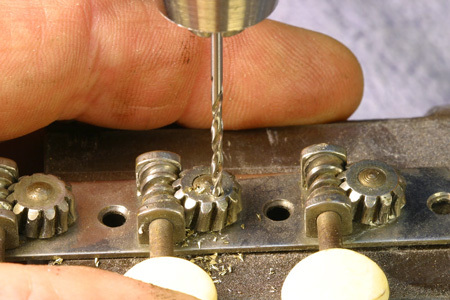 With that procedure, there would be considerable danger of damage to the celluloid tuner buttons, so I opt for a quicker, safer approach. 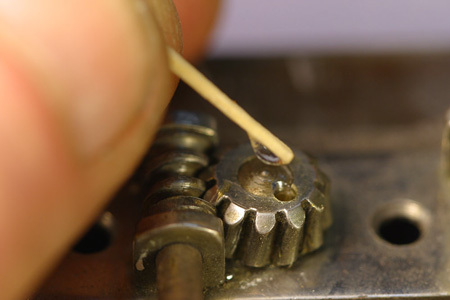 I usually start the drill vertically like this, and then angle it inward toward the shaft more to avoid weakening the gear any more than necessary.